In 1982, Tom co-founded TUFF to help colleges and universities acquire facilities and equipment via third party, tax-exempt bond financing. His efforts were instrumental in introducing the concept of a state-backed one-year lease with multiple renewal periods to the tax-exempt bond market. 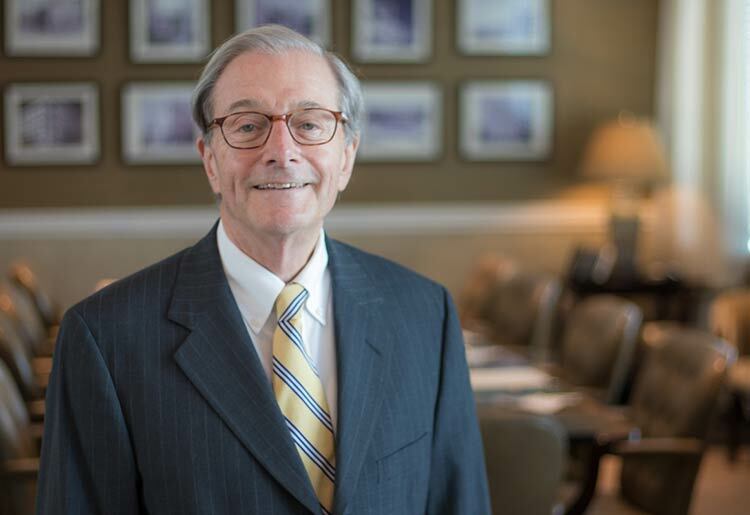 A 1958 graduate of Georgia Tech’s industrial engineering program, Tom spent 13 years assisting with alumni development for his alma mater, founding and directing the Office of Resources Development. He served as Technology Park Atlanta’s Vice President and Director before joining White-Weld in the Municipal Markets program, where he participated in the firm’s management of institutional and retail public finance offerings. In 1978, he joined Korn/Ferry, an international executive search firm, serving on the firm’s Executive Committee and as Managing Director for the Southeastern Region. Tom proudly served as TUFF’s Chief Executive Officer from 2001 until March of 2018 when he formally retired. Today, he remains an active Board member, serving as Vice Chairman, and consults frequently in the deliberations of staff and directors. He also represents the Board of Directors in qualifying TUFF’s interest in new opportunities. In addition, he is a Trustee Emeritus of the Georgia Tech Foundation and a past member of the Board of the Georgia Tech Facilities Corporation.